Complete your school stationery set, with great prices. 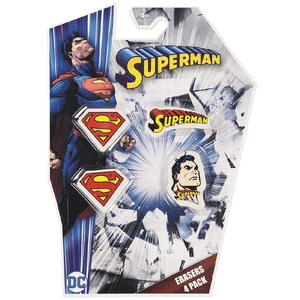 Superman DC Comics Erasers Set 4 Pack. Super heroes erasers are super awesome. I had to buy one of each.